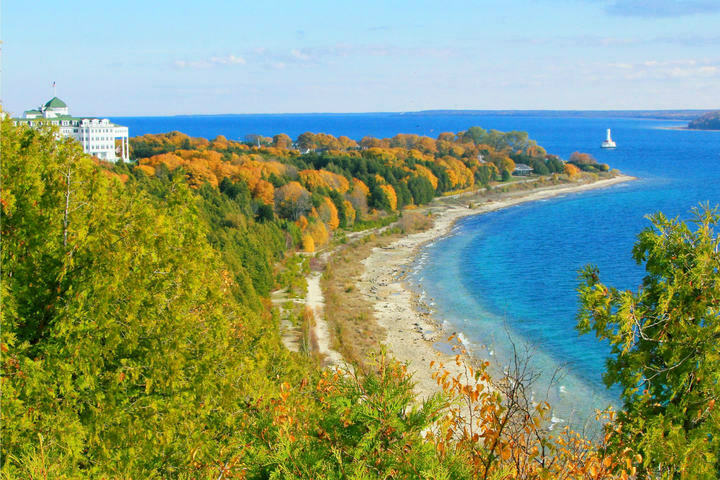 Fall on the Island A beautiful site! 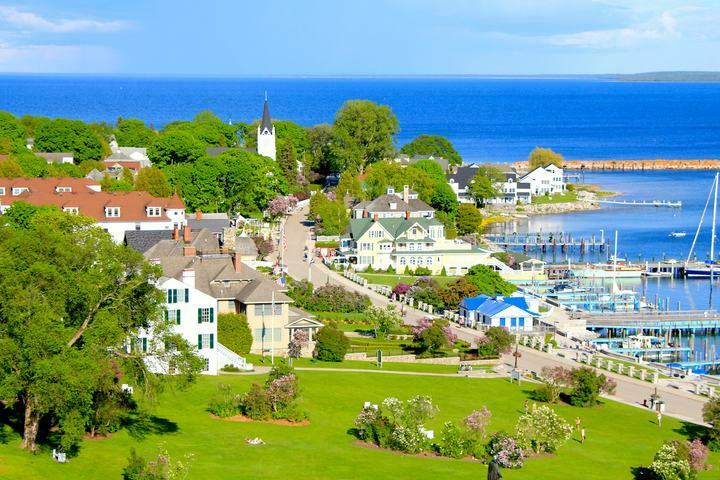 Electric bicycles are banned on Mackinac Island by local ordinance in accordance with State Law. 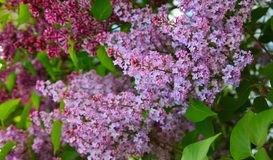 Those with a medical disability are exempt in accordance with the Americans with Disabilities Act. 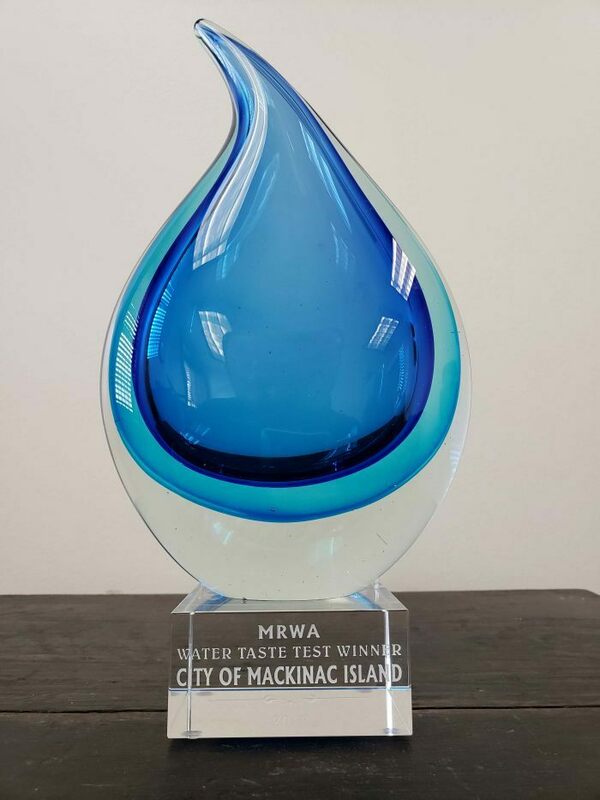 The Mackinac Island Department of Public Works won the 2018 Michigan Rural Water Association's "Water Taste Test" contest that was held at the Annual MRWA Conference on March 22nd, 2018. 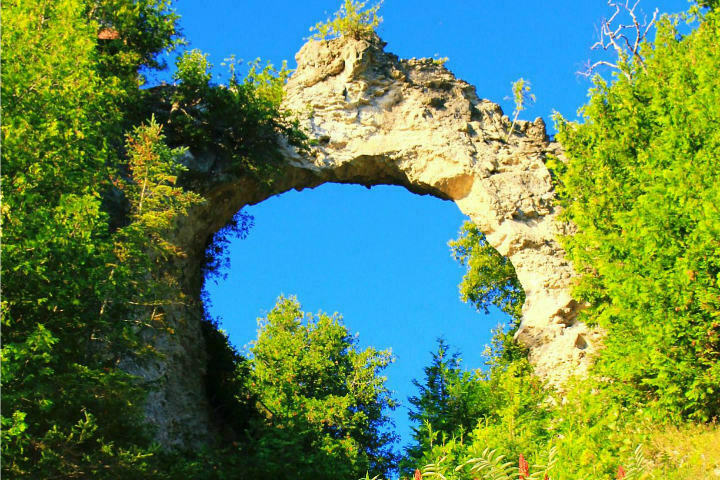 The taste of our water is not the only thing to boast about, our great tasting water is a result of a clean source out of Lake Huron. 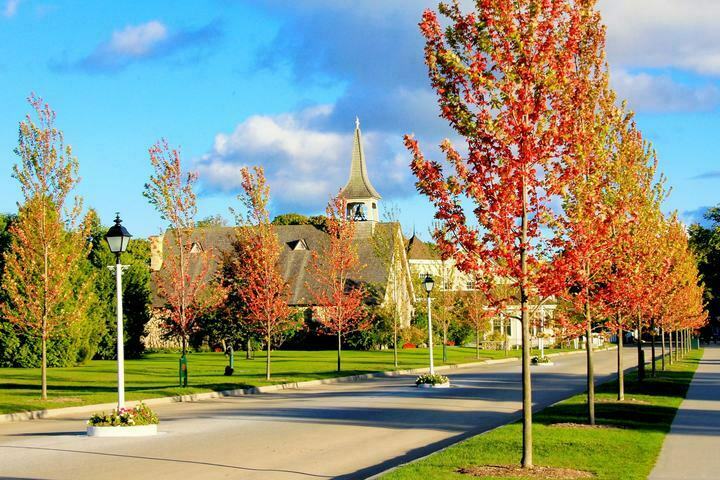 Our finished product is among the cleanest in the world. 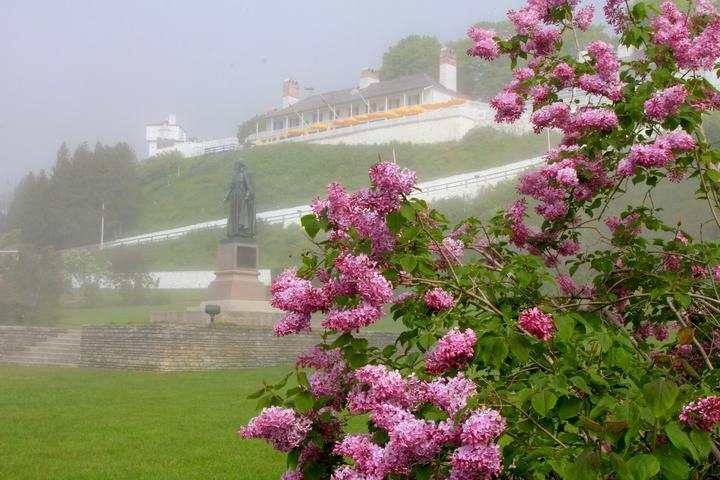 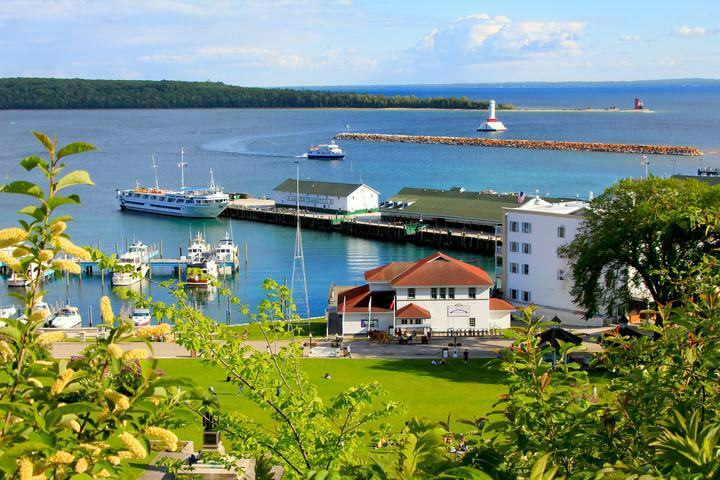 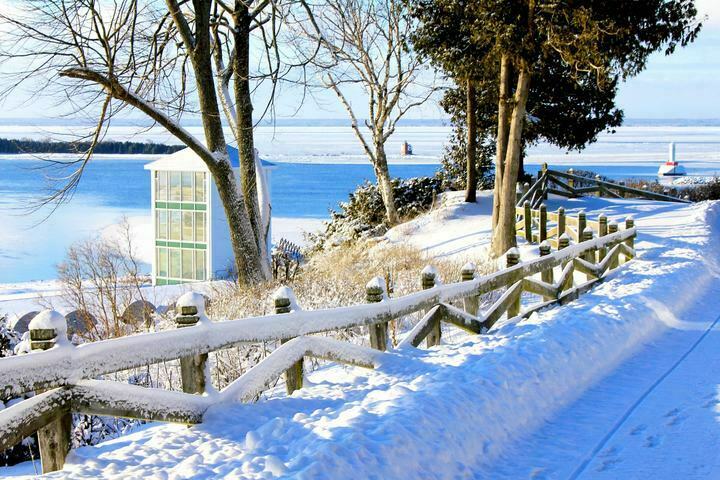 Mackinac Island is located on Lake Huron in the Straits of Mackinac, in Mackinac County, east of the Mackinac Bridge. 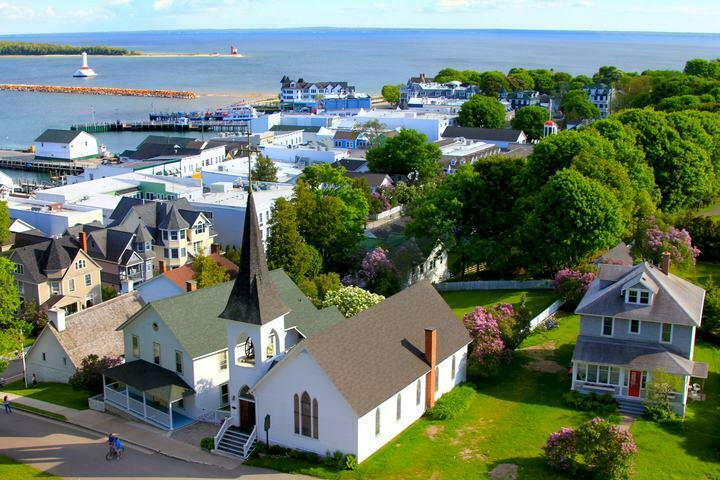 From 1818 to 1882, the City was the county seat of the former Michilimackinac County, which was later organized into Mackinac County with St. Ignace as the county seat. 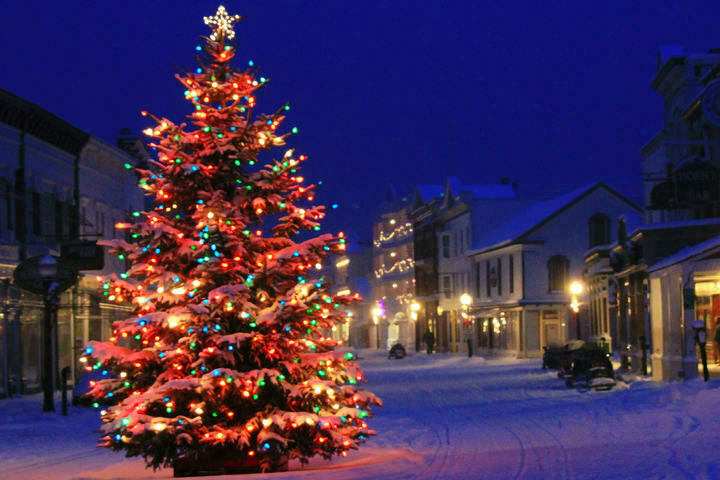 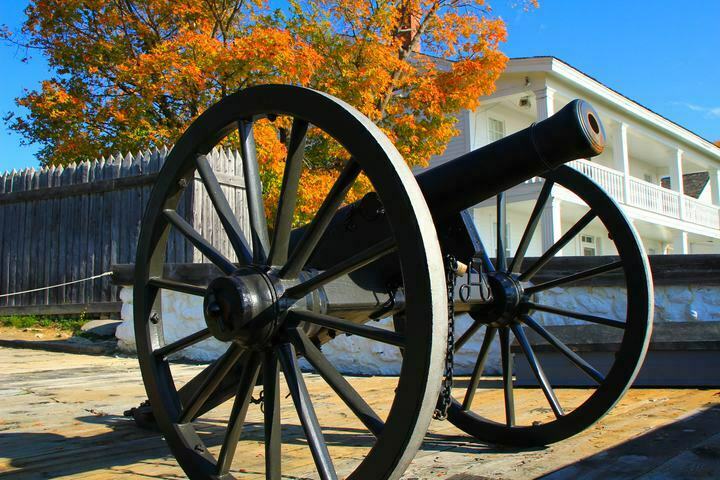 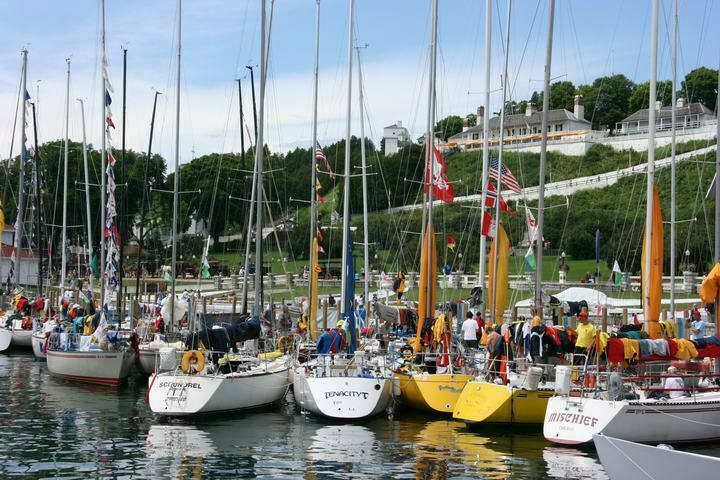 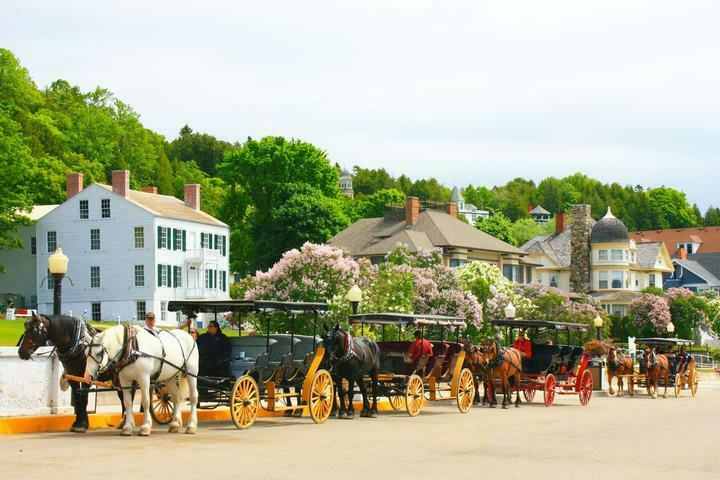 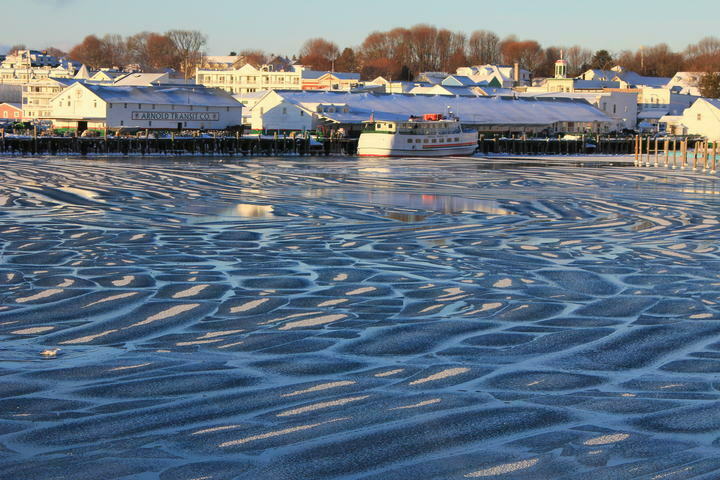 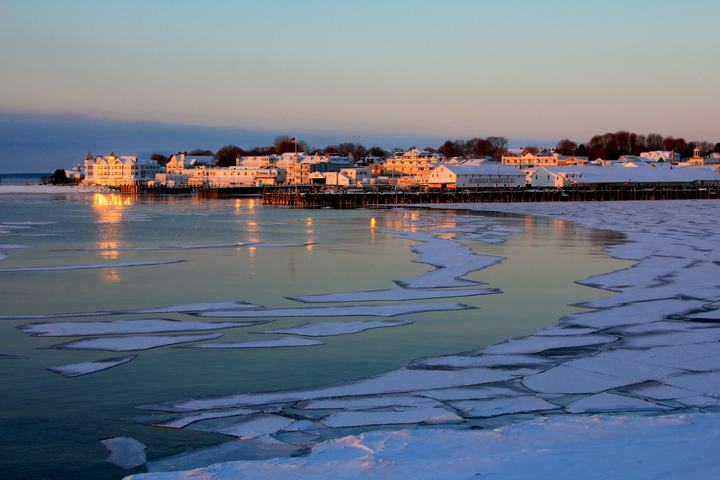 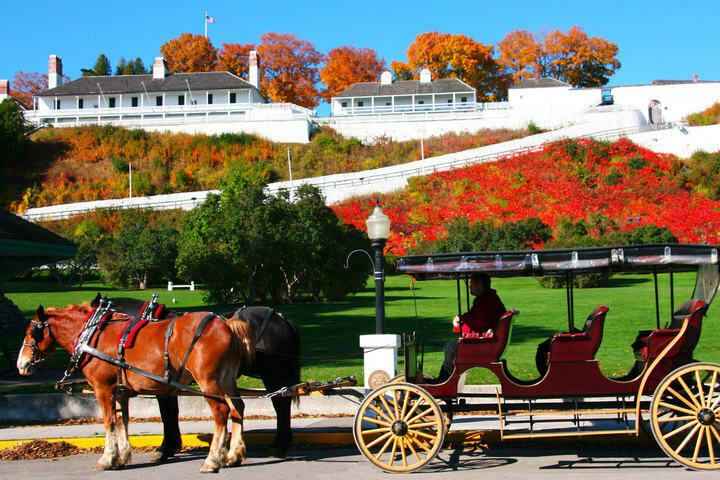 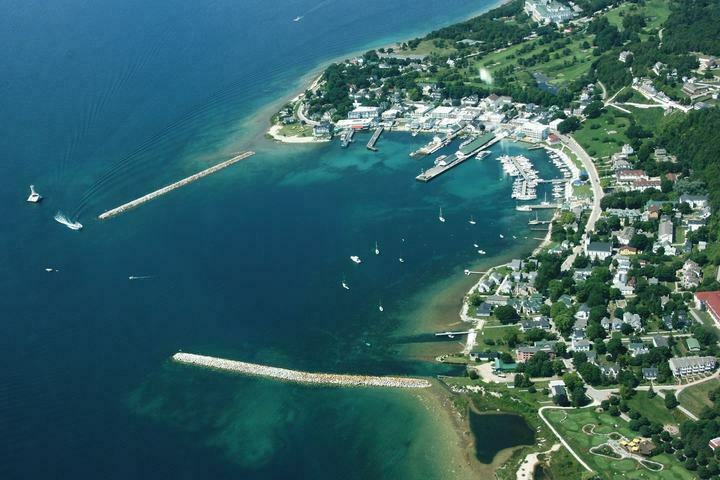 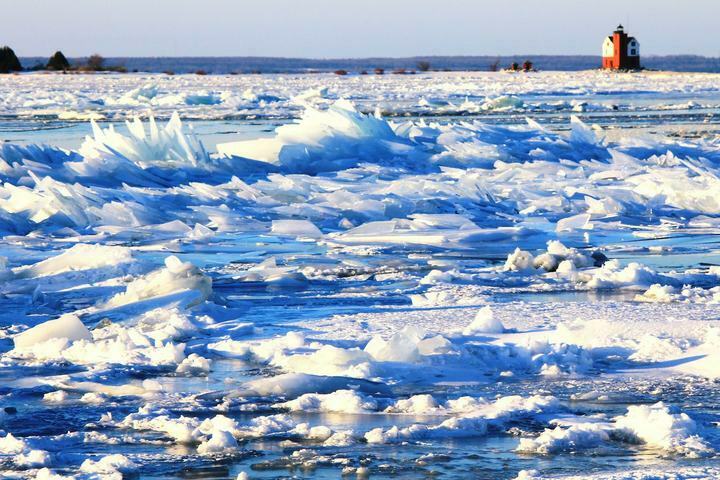 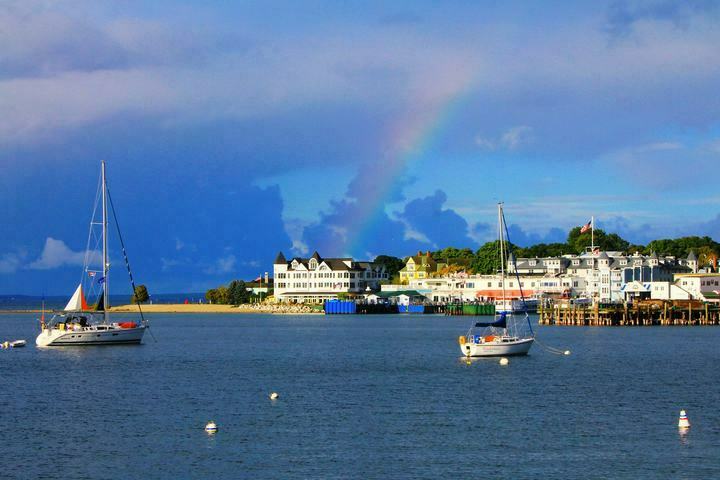 The City includes all of Mackinac Island except for the state owned property under the jurisdiction of the Mackinac Island State Park Commission and Department of Natural Resources. 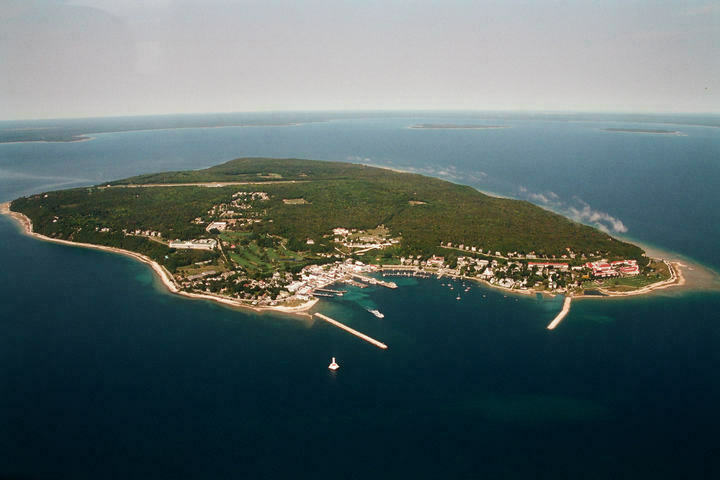 The City Charter also originally included nearby Round Island which is unpopulated and now federally owned and part of Hiawatha National Forest. 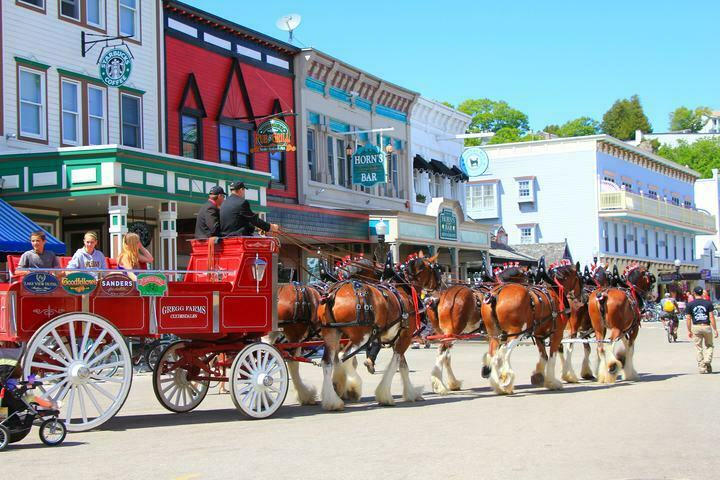 The City Charter was passed by the State of Michigan Legislature in 1899 which vacated the Township of Holmes and Village of Mackinac to incorporate the City of Mackinac Island. 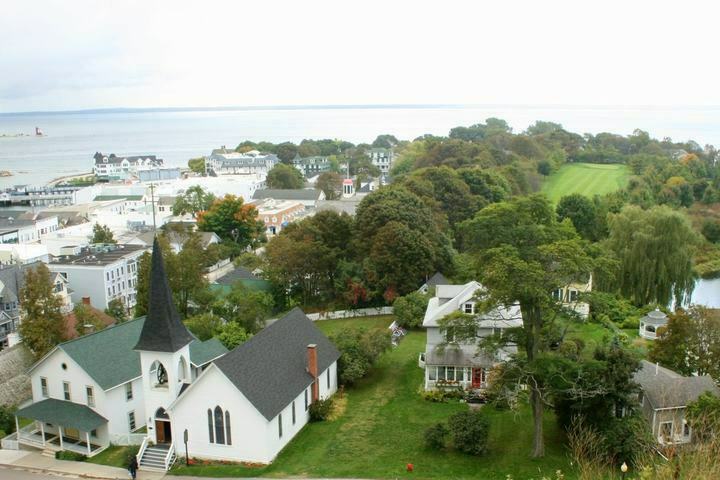 Many of the City’s actions are through passing of ordinances or resolutions. 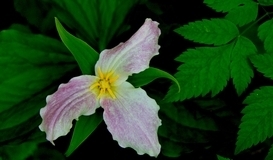 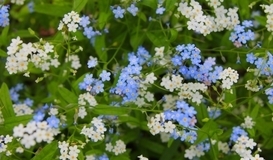 Many of the images used on this site are courtesy of “Photo Art by Nancy May”.